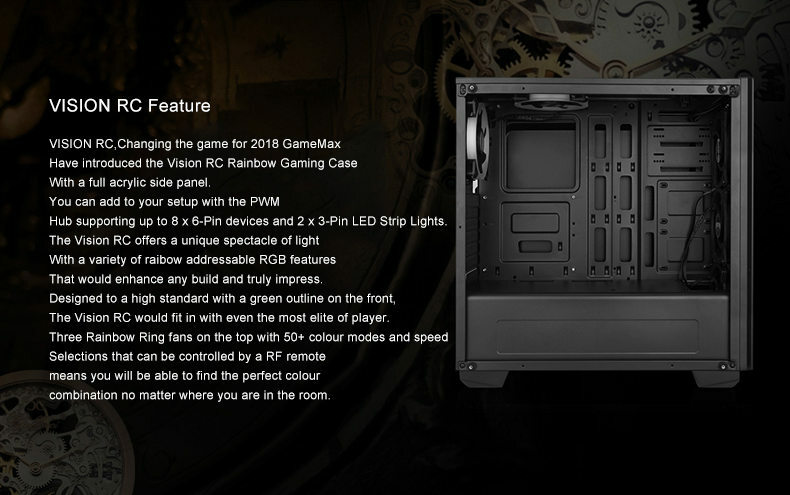 GameMax Vision RC is a Mid-Tower PC Gaming case arrives with three sides of tempered glass adding a level of style and professionalism to any build. With room for five fans in total cooling options are great, at the front you can fit up to a 240mm radiator, with thickness below 66mm. You have the option to add a 120mm radiator at the top and back enhancing your airflow options. 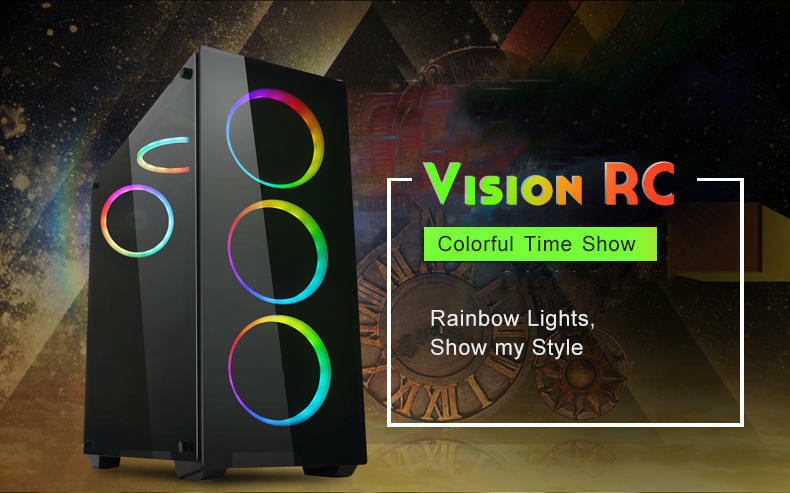 The Vision has space for 2 x 2.5 SSDs and 3 x 3.5 HDDs to get you started right away and you can access these easily with the detachable tempered glass side panels that are attached via thumbscrews that simply slot into place to make it easier while you build. 1 x USB3.0 and 2 x USB2.0 ports surrounded by blue trim are located at the top allow for easy access and can connect to most media storage devices. 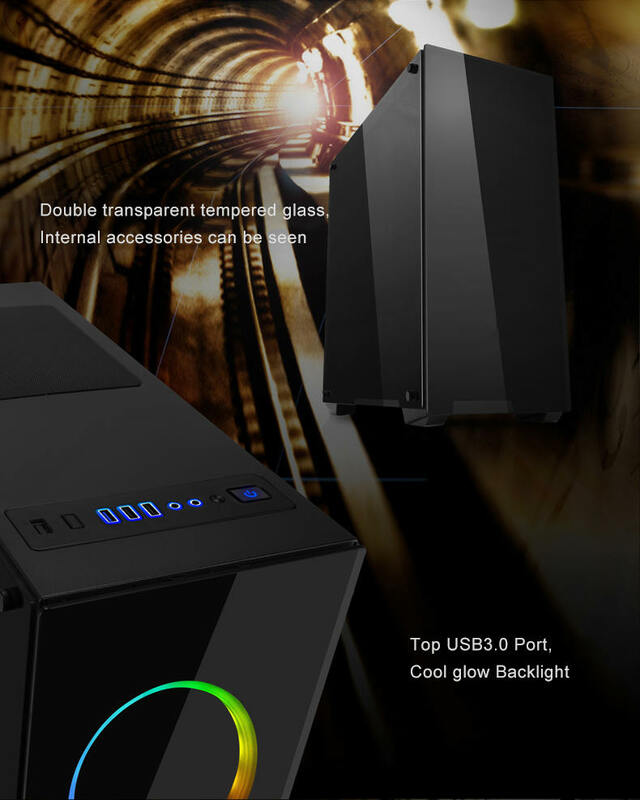 It supports GPUs up to 190mm in length and CPU coolers with a max height of 160mm. GPU & CPU Lengths - Supports GPUs that are up to 390mm in length and CPU coolers that are up to 160mm in height. A removable magnetic dust filter on the top and bottom helps to prevent dust from getting into your build and helps keep the performance levels of your cooling setup higher.